As we go headlong into 2018, I believe UK interest rates will stay low, even with the additional 0.25% increase that is expected in May or June. That rise will add just over £20 to the typical £160,000 tracker mortgage, although with 57.1% of all borrowers on fixed rates, it will probably go undetected by most buy-to-let landlords and homeowners. I forecast that we won’t see any more interest rate rises due to the fragile nature of the British economy and the Brexit challenge. Even though mortgages will remain inexpensive, with retail price inflation outstripping salary rises, it will still very much feel like a heavy weight to some Aylesbury households. 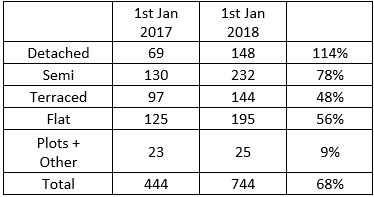 Now it’s certain the Aylesbury housing market in 2017 was a little more subdued than 2016 and that will continue into 2018. Property ownership is a medium to long-term investment so looking at that long-term time frame; the average Aylesbury homeowner who bought their property 20 years ago has seen its value rise by more than 300%. This is important as house prices are a national obsession and tied into the health of the UK economy as a whole. 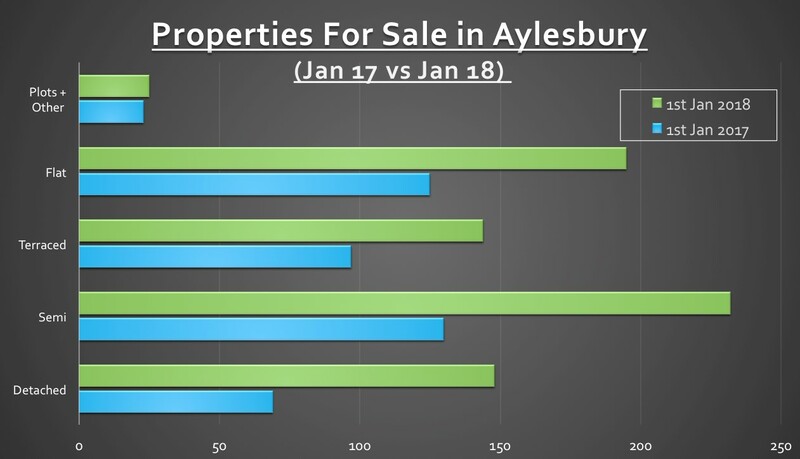 The majority of that historic gain in Aylesbury property values has come from property market growth, although some of it will have been added by homeowners modernising, extending or developing their Aylesbury homes. Taking a look at the different property types in Aylesbury and the profit made by each type, it makes interesting reading.. However, I want to put aside all that historic growth and profit and looking forward to what will happen in the future. I want to look at the factors that could affect future Aylesbury (and the Country’s) house price growth/profit; one important factor has to be the building of new homes both locally and in the country as a whole. This has picked up in 2017 with 217,350 homes coming on to the UK housing ladder in the last year (a 15% increase on the previous year’s figures of 189,690. However, Philip Hammond has set a target of 300,000 a year, so still plenty to go! Another factor that will affect property prices is my prediction that the balance of power between Aylesbury buy-to-let landlords and Aylesbury first-time buyers should tip more towards the local first-time buyers in 2018. This means Aylesbury buy-to-let landlords will have to work smarter in the future to continue to make decent returns (profits) from their Aylesbury buy-to-let investment. 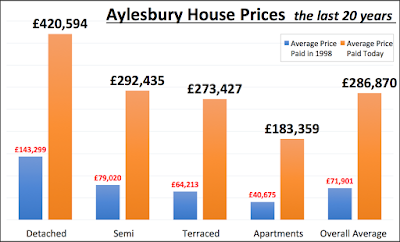 Even with the tempering of house price inflation in Aylesbury in 2017, most Aylesbury buy to let landlords (and homeowners) are still sitting on a copious amount of growth from previous years. The question is, how do you, as an Aylesbury buy to let landlord ensure that continues? Since the 1990’s, making money from investing in buy-to-let property was as easy as falling off a log. Looking forward though, with all the changes in the tax regime and balance of power, making those similar levels of return in the future won’t be as easy. Over the last ten years, I have seen the role of the forward thinking letting agents evolve from a ‘rent collector’ and basic property management to a more holistic role, or as I call it, ‘landlord portfolio strategic leadership’. Thankfully, along with myself, there are a handful of letting agents in Aylesbury whom I would consider exemplary at this landlord portfolio strategy where they can give you a balanced structured overview of your short, medium and long-term goals, in relation to your required return on investment, yield and capital growth requirements. If you would like such advice, speak with your current agent – or whether you are a landlord of ours or not – without any cost or commitment, feel free to drop me a line. Looking at the newspapers between Christmas and New Year, it seemed that this year’s sport in the column inches was to predict the future of the British housing market. So to go along with that these are my thoughts on the Aylesbury property market. In terms of what will happen to Aylesbury property values in the next 12 months, a lot will be contingent on the type of Brexit we have and the impact on the whole of the UK economy. A lot of people will talk about the Central London property market in the coming year, and if the banking and finance sectors are negatively affected with a poor Brexit deal, then the London market is likely to see more of an impact. Nevertheless, the bottom line is Aylesbury homeowners and Aylesbury landlords should be aware of what happens in the rollercoaster housing market of Central London, but not panic if prices do drop suddenly there in 2018. Over the last 8 years, the Central London property market has been in a world of its own (Central London house prices have grown by 89.6% in those last 8 years, whilst in Aylesbury, they have only risen by 57.23%). So we might see a heavy correction in the Capital, whilst more locally, something a little more subdued. Oh, and house prices in Aylesbury over the next 12 months? I believe they will end up between 0.4% higher and 1.6% higher, although it will probably be a bumpy ride to get to those sorts of figures. Interestingly I was chatting with a self-managed landlord from Wendover, when I was out socially over the festive period, who didn’t realise the other recent legislations that have hit the Private Rented sector, including the ‘Right to Rent’ regulations which came in to operation last year. Landlords have to certify their tenants have the legal right to live in the UK. This includes checking and taking copies of their tenant’s passport or visa before the tenancy is signed. Of course, if you use a letting agent to manage your property, they will usually sort this for you (as they will with the redress scheme when that is implemented). If you are a self-managed landlord though, the consequences are severe because if you let a property to a tenant who is living in the UK illegally, you will be fined up to £3,000. That same Wendover landlord popped into my offices in the New Year, and I checked all his paperwork and ensured he was on the right side of the law going forward – and I offer the same to any landlord in the Aylesbury area if you want me to cast my eye over your buy to let matters. 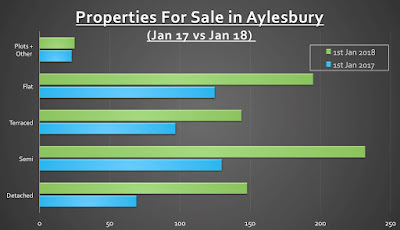 Overall, Aylesbury doesn’t match the national trend, with the number of properties on the market actually increasing by an impressive 68% in the last year. It was particularly interesting to see the number of detached properties increase by 114% and the number of semis on the market has increased by 78%. However, speaking with my team and other property professionals in the town, the majority of that movement in the number of properties and the types of properties on the market isn’t down to landlords dumping their properties on the market. The whole property market has changed in the last 12 months, with the majority of the change in the number and type of properties for sale due to the owner-occupier market, not landlords (a subject I will write about soon in my Aylesbury Property Market blog later this Spring?). 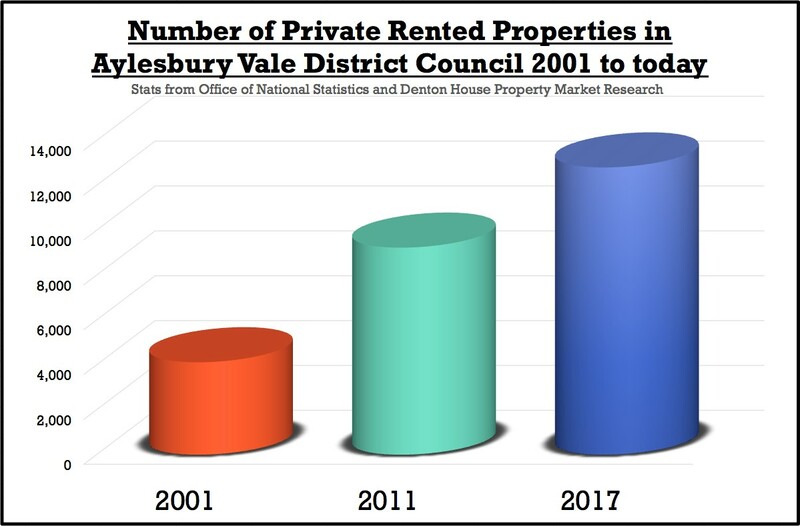 You see, for the last ten years, each month there has always been a small number of Aylesbury landlords who have been releasing their monies from their Aylesbury buy to let properties - as is the nature of all investments! Nevertheless, some Aylesbury landlords will want to release the equity held in their Aylesbury buy to let properties in 2018. All I suggest is that you speak with your letting agent first, as putting a rental property on the open market often spooks the tenants to hand in their notice days after you put it on the market (because they don’t like the uncertainty and also believe they will become homeless!). This means you have an empty property, costing you money with no rent coming in. However, some letting agents who specialise in portfolio management have select lists of landlords that will buy with sitting tenants in. 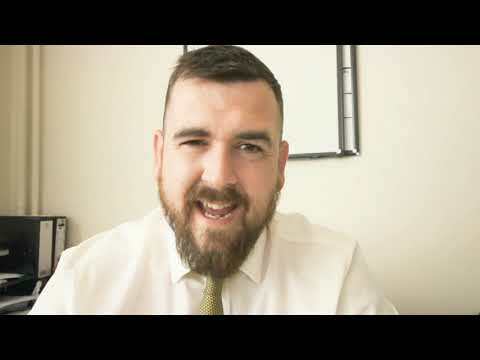 If you have a portfolio in the Aylesbury area and are considering selling some or all of them – drop me a line as I might have a portfolio landlord for you. Youngsters unable to buy their first home in Aylesbury – Are the Baby Boomers and Landlords to Blame? Talk to many Aylesbury 20 something’s, where home ownership has looked but a vague dream, many of them have been vexatious towards the Baby Boomer generation and their pushover ‘easy go lucky’ walk through life; jealous of their free university education with grants, their eye watering property windfalls, their golden final salary pensions and their free bus passes. If you had bought a property in Aylesbury for say £22,000 in first quarter of 1977, today it would be worth £483,498, a windfall increase of 2097.72%. 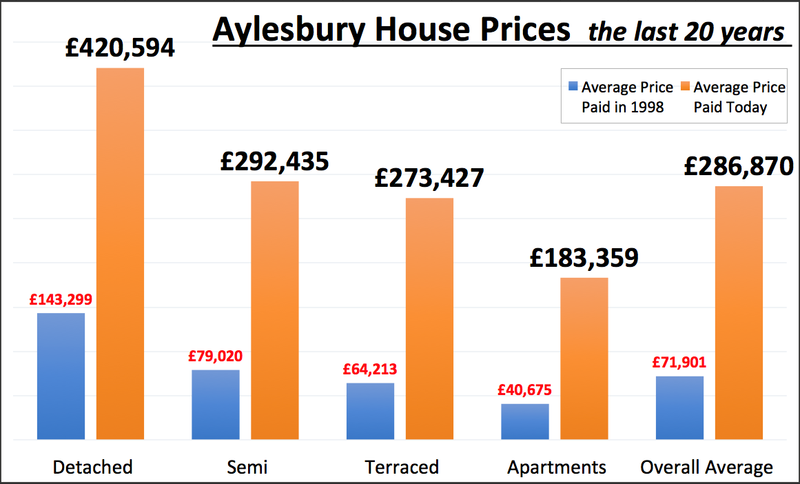 But to blame the 60 and 70 year olds of Aylesbury for that sort of rise seems a little unfair, with the value of the homes rising like rocket, I don't believe they can be censured or made liable for that. A few weeks ago, I discussed in my blog the number of people in the Aylesbury area who have two or more spare bedrooms (meaning they are under-occupying the house). I see many mature members of Aylesbury society, rattling around in large 4/5 bed houses where the kids have flown the nest years ago ... but should they be blamed? Neither do I directly blame the multitude of Aylesbury buy to let landlords, buying up their 10th or 11th property to add to their buy to let empire. They too, are humbly reacting to the peculiar historic inducements of the UK property market. Well, hyperinflation in the 1970’s meant the real value of people’s mortgages was whipped out (as mentioned above). Margaret Thatcher and Nigel Lawson are also good people to blame with Maggie selling off millions of council houses and Nigel Lawson’s delayed ending of the MIRAS tax relief in 1987; meaning he too can get his share of indignation. The Blair/Brown combo doubled stamp duty in 1997 and again in 2000, which, as a tax on property transactions, precludes a more efficient distribution of the current housing stock. The Government has had plenty of opportunity to change the draconian stamp duty rules to incentivise those mature Aylesbury house movers to downsize. However, I have started to see over the last few years a change in Government policy towards housing. The new breed of Aylesbury buy to let landlords that have come about since the Millennium, have had their wings clipped over the last couple of years, with the introduction of new tax rules (meaning it is slightly more difficult to make money out of property unless you have all the national information and Aylesbury property trends to hand). It’s easy to think the only reason that hundreds of first time buyers have been priced out of the Aylesbury housing market is because of these landlords. Yet, I believe landlords have been undervalued with the Aylesbury homes they provide for Aylesbury people. With first time buyers struggling to save for a deposit, if it weren’t for those landlords buying up those homes over the last 10/15 years, we would have a bigger housing crisis than we have today. Since the global financial crisis of 2008/9, local councils have had to cut services, so certainly didn’t have enough money to build new homes ... homes that were provided to Aylesbury by these buy to let landlords. One side of the argument is that 511 homes are being bought up by buy to let landlords each year in the Aylesbury Vale District Council area when otherwise they might have become available to other buyers, the other side of the argument is the current national average deposit is £51,800, which is, by far, the greatest barrier to those wanting to buy their first home. Those homes bought by local buy to let landlords are not left idle, as they equate to 3,576 of new homes for local people, most of whom who see renting as a better option because of the choice, the simplicity and the flexibility which renting brings.